Home / Blog / Why we love the NDIS (even with all the challenges it presents)! The National Disability Insurance Scheme (NDIS) has certainly made the headlines. In many cases, the headlines have highlighting the many challenges associated with how the scheme has been administered. We love the NDIS despite all the systemic issues and the transactional nature of how it has evolved. Of course if someone asked us how to build a fair but effective person centred system that allowed people to get the support they want and need (without being too intrusive) we would utilise similar principles of individualised funding and maybe even planning. Most other aspects of how the scheme has been constructed we would do very differently. Thankfully, as it evolves the National Disability Insurance Agency (NDIA) are responding to feedback and trying very hard to develop aspects and make the experience more positive for people. We love the idea and principles of the NDIS, and we love witnessing the positive changes it has on people’s lives. We are seeing people’s wellbeing flourish, often with just a small amount of trusted focussed support. Some people, after long periods of despair, are exposed to hope and opportunity for a better life. For years, we have seen too many people restricted and stuck in cycles of poor mental health because they can’t get on top of aspects of their daily life, like managing their tenancy, budget or looking after themselves. While some great community mental health support services have been available, they are not there for all the people who could benefit from them, rarely long term or tailored to the individuals need. The NDIS changes that, and we are so pleased it offers hope for people to move on with their life, with whatever support makes sense to them. 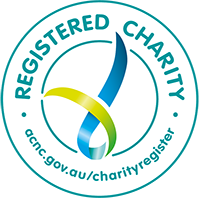 We are now working with over 90 people with their own NDIS plans and funding package. Each person unique, supported in whatever way makes sense to them, focussing on their priorities. We are so pleased people have chosen us, trusted in us and offered us a chance to share our approach. Our approach is grounded in understanding people, their experience and priorities. Accepting where people are at and what matters most to them. Holding high yet realistic expectations about what is possible and working at each person’s pace. I think it’s the genuineness of our approach that keeps people coming to us. We know for some people their situation can be complex and that it requires us to be persistent, diligent and collaborative with other key people. This is emerging as an area where we are shining. The NDIS doesn’t resolve all the challenges people face, but it has a massive potential to make a big difference. 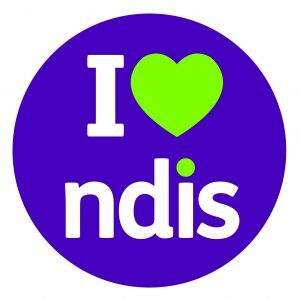 An opportunity to change people’s lives for the better, that’s why we love the NDIS!